This clinic is aimed at experienced skiers who are looking to push their riding to the next level in the backcountry. 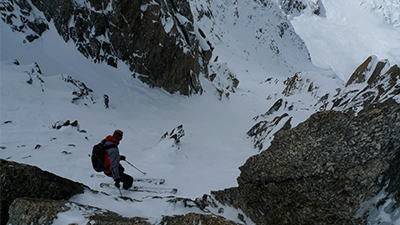 Experience in the backcountry is essential, strong skiing ability is required. Our guide will lead you through hazard assessment, risk management, and line selection in order to shred the gnar. This course is 6:1 participant: instructor. This course requires a Whistler Blackcomb pass. If you do not have a Whistler Blackcomb Season's Pass, Epic Pass or Edge Card, please purchase a Whistler Blackcomb Backcountry Day pass at check out for $69/day.